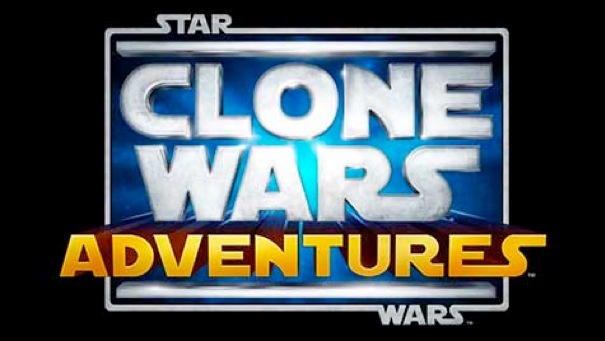 It seems perfectly fitting that with the Star Wars films being such an influence for me as a Sound Designer, when the opportunity came up to become the Lead on “Clone Wars Adventures”, a joint venture between Sony Online Entertainment and Lucasarts, it was hard to resist. When I started on the game, it was just a month away from its official prototype milestone. Yikes! Except for a couple of temp blaster shots playing in a tower defense minigame, the rest of it was completely void of sound. Plenty to do as I was the only one working on it. I quickly became acquainted with Christopher Denman and Darragh O’Farrell over at Lucasarts, who began providing assets to me. Now, there is a level of excitement associated with this as original, digitized recordings of a lot Ben Burtt’s work came across the FTP. To be able to listen to the raw power window servo recordings that are the basis of R2-D2 & C-3PO’s movement in the films, or some of the lightsaber elements in their raw form was priceless. When I got R2 rolling around in the game, chirping away, that simple moment felt full-circle for me. I just sat back and smiled. So, with a little bit of luck and some ridiculous temp voiceover, everything made it in by the December 19th prototype date – to a resounding success. The team knocked it out of the park! Now here was the rub. This game had to launch the same week as Season 3’s premiere, which was the following September. Less than a year of development time? I wasn’t sure it could happen. Then again, it was a very different and ultimately simpler game than “Transformers: War For Cybertron”, which only had an 18-month cycle, so I wondered. The holidays came and went and shortly thereafter things became quite busy…too busy for one person to continue handling. When June rolled around, I became San Diego’s Audio Director, so I immediately changed the way our local team was split up and immediately threw everyone onto the game. The three of us managed to get all of the sound, music editing, and dialog recorded and in for the September deadline, even while my wife and I were busy having our second baby the same week. Talk about pressure! “Clone Wars Adventures” was one of the best-produced projects SOE has had to date, hitting all of its milestones easily and pleasing everyone at both Sony and Lucasarts. It continues to rise in popularity week after week, keeping in lock-step with the series as it airs. The game was a huge divergence from the kind of game I was used to developing at High Moon. 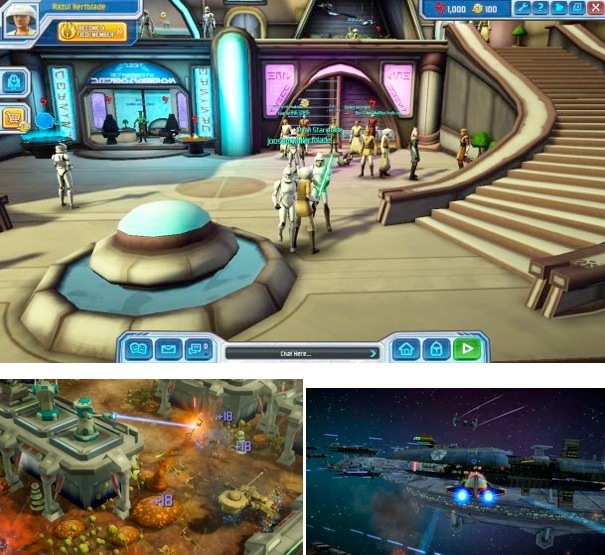 Designed with an aim at a younger, “tween” audience, using a completely different, proprietary game engine developed for Free Realms, a game released the previous year, it consists of a multi-space central hub area where the main purpose is social networking and the launching of a slew of various minigames, most associated with storylines and characters from the show. Several of these games are 2D Flash-based puzzle minigames, while others are set in fully-3D environments. Each one was a different challenge and required a different approach, but all of them were fun to work on. A common misconception about working in the Star Wars universe is that people think all of the sound work is already done, and all we need to do its drop the sounds into the game. This is false. While Star Wars projects do receive assets from Lucasarts, and simple things like laser blasts are relatively easy to edit and drop in, you must realize that most of these assets are sounds from the films or the series. Since they are designed originally for that purpose, it is up to our team to get them edited properly and game-ready. How many fly-bys do you hear in the movies and show? A ton! How many steady engine loops are there to use on your Starfighter in the game? Hardly any. Some sounds needed to be completely fabricated based on other, similar source for them to work, and as long as you stay as true to the canon as possible, you’re good. Often times, we are creating sounds for things that don’t exist in any of the movies or series, or creating sound for parts of something if it isn’t available. We recently added an energy bow weapon item to the game that had all sorts of sound available for it, other than its actual shoot sound. That needed to be created from scratch, based on what the rest of it sounded like. Keeping in sync with the airing series throughout this past year also meant coordinating the delivery of brand new sounds being created at Skywalker Sound delivered to us through Lucasarts – sometimes a week-length process, as everyone’s quite busy. Working with the voice actors who also perform their roles on the show was an excellent experience. These guys and gals know their characters so well, and most of them are totally into Star Wars in general to begin with. All of them excel in nailing the voices of characters that were previously performed by other actors. Veteran actor Tom Kane, who voices the central Narrator character that leads you into every episode, as well as Admiral Yularen and Yoda, did something special for us. Towards the end of the project’s development, just before launch, he recorded several voicemail messages for many people on the team in his own spare time, in whichever character voice they wanted. Absolutely priceless! Dee Bradley Baker is a busy man indeed. He voices all of the Clone characters, and despite the similar New Zealand-accented voice he lends to all of them, they are actually quite different. Commander Cody is a different guy altogether than Captain Rex, or Captain Breaker, or your average Clone Trooper. James Arnold Taylor covers Obi-Wan in the series and is quite a convincing “Ewan”. He also plays the role of Plo Koon, a very different-sounding Jedi as well. It amazes me to be in on these sessions and hear the actors drop into character and suddenly you have a different person on the other end of the line. An example of this difference came with Corey Burton. The man, in his regular voice, sounds nothing like Count Dooku, but as soon as he makes the switch, BAM. I swear his voice drops an octave! He also plays Ziro the Hutt, a whiney, southern-drawl Hutt character in the show, who couldn’t be more different. “Clone Wars Adventures” continues to do very well and is constantly being updated and maintained, which is something that is unique with companies like Sony Online. Once the games are live, there are teams that continue to work on them and expand them over the years. An example of this longevity is with “EverQuest”, which just celebrated its 12th birthday, and is still going strong!